Min Khanal, a Ph.D. student in the Department of Physics, is studying experimental semiconductor physics. 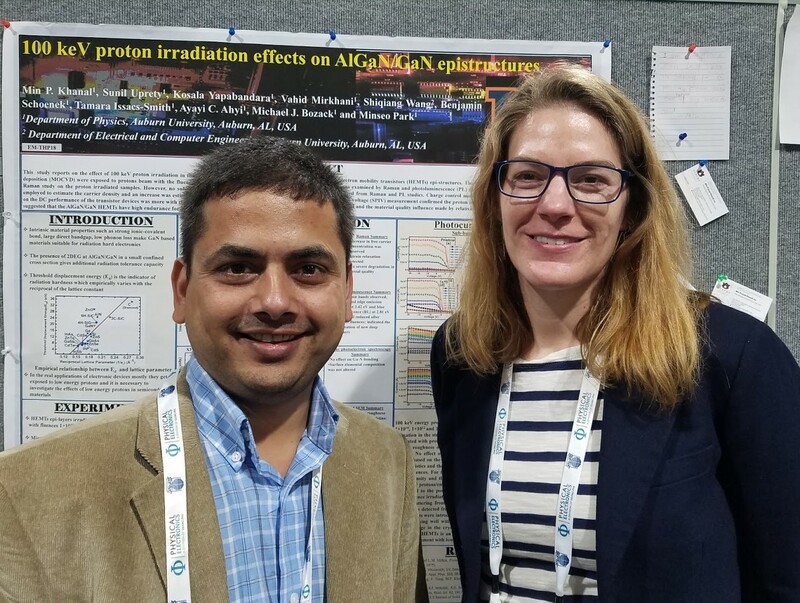 At this year’s American Vacuum Society (AVS) International Symposium & Exhibition held in Long Beach, California, he won the Electronic Materials & Photonics Division Student Poster Award. “My research focuses on fabrication and characterization of AlGaN/GaN High Electron Mobility Transistors (HEMTs) and their potential applications in power electronics and opto-electronics,” explains Min. His career goal is to become a professional in the semiconductor industry. Graduate Student Min Khanal wins the Electronic Materials and Photonics Division Student Poster Award.